Thanks for tuning in to another edition of X1Zero’s Corner. You may have noticed that I am posting earlier this week. Well, that is because I have so many free giveaways that I cannot possibly do this once per week! Read on!!! 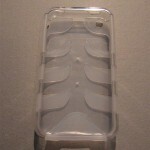 Today’s post will be a case review and give-away of THREE ï¿½CapsuleRebelï¿½ cases from SwitchEasy. 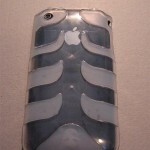 Recently I began using some iPhone 3G cases from SwitchEasy and among them are these new ï¿½CapsuleRebelï¿½ cases. The case is a little different than what I am normally used to as the case is made of two parts; a polycarbonate exo-skeleton and a polymer inner shell. In other words, a hard plastic shell case. 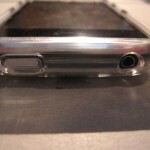 The ï¿½CapsuleRebelï¿½ case covers the entire back, sides, top, and bottom of the case leaving holes open for the camera, the headphone jack, the sleep/wake button, the silent switch, the dock connector, and speaker/microphone. The entire front of the case, including home button, is fully exposed however the package does come with a screen protector that can be applied. 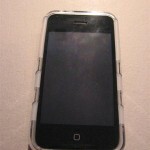 After the case is on the iPhone 3G, it is a really tight fit. 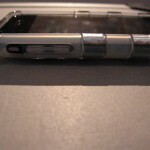 Since the case is of the plastic type, it does add a little bulk and weight to the iPhone 3G, but if you were you to drop this case, the iPhone 3G would be completely fine…assuming of course the drop lands the phone on the case sides. After using the case, almost everything about it works pretty well. The only one thing that bothers me is the case is tough to get off. Since the case comes in two parts (an inner and outer shell), the inner shell is really easy to put on, it almost just slides onto the phone and then you snap on the outer shell. However, when you try to take the outer shell off, it feels as if I could almost break it if I pulled any harder. 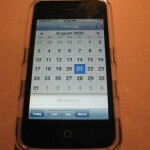 Plus, the outer shell has these clips that snap into place quite good and taking them off is a hassle I found, but during the whole process there was no damage to either the case or the iPhone 3G, so that’s a plus in my books. Included with the package, among the screen protector, is a polishing cloth, a universal dock adapter, a dock connector plug protector, and video stand. I’m going to stop for a second and let you re-read that list of extras. WOW. I was sold after the polishing cloth and screen protector, but with this case you get a dock adapter so its dockable, a dock connector plug protector so you can keep dust and stuff out of the pin connectors, AND a video stand. Some of you may be wondering what the video stand is. Well, if you have ever seen the iPod Touch you will know what I am talking about but it is a little plastic stand that the iPhone in this case rests in horizontally so that you can watch videos without having to hold your phone! TOTAL WIN! Overall, I really like the ï¿½CapsuleRebelï¿½ case. It provides a hard shell protection that is actually quite stylish, and that boatload of included extras just sells itself. I give it a solid 9/10. The ï¿½CapsuleRebelï¿½ case can be purchased from the SwitchEasy online store for $24.99, however I am giving away the three pictured above TODAY! Read below to find out how to win! 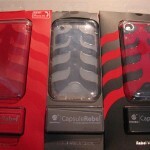 As mentioned above, I will be giving away THREE of the ï¿½CapsuleRebelï¿½ cases away today. So, how do you win you ask? It’s super easy! Put together six words in the form of a sentence (well try to make it a sentence) of why you deserve one of these cases! Then post your responses below. The contest will run until Monday September 1 at 12:01am. Any submissions after that date/time will not be included.